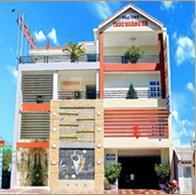 The 4-floor TRUCHOANGHA hotel with modern elevator is located in the centre of Kon Tum City. The hotel offers 30 luxurious rooms with high-grade conveniences.You will make yourselves comfortable and as intimate as your family. With the precept:"As intimate as your family", the TRUCHOANGHA hotel has the honor of serving you. In the hotel network of Kon Tum, TRUCHOANGHA is a 2-star hotel,but the price is really amazing and satisfactory. Professionally trained,whole-hearted and considerate hotel staff will make you very impressive in our hotel.